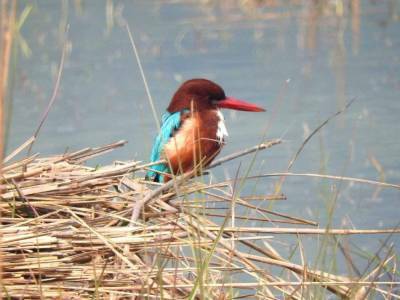 Sultanpur Bird Sanctuary is located in Gurugram (Previously Gurgaon) and close to the main city. It is a very easy drive with excellent roads and lots of farm lands and open spaces. Reaching to the Sultanpur Bird Sanctuary, travelers will find a proper parking space for vehicles and quick access to a washroom. Dont forget to carry binoculars / camera as you will find lots of beautiful birds to see. 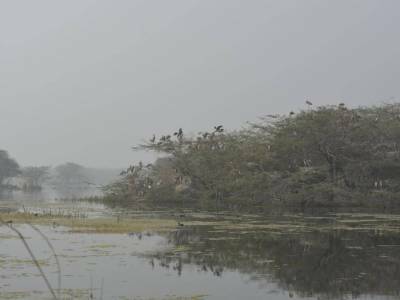 The Sultanpur Bird Sanctuary, where migratory birds come from so far i.e. Europe, Siberia etc and it is stated around 250 types of birds species found in the park. 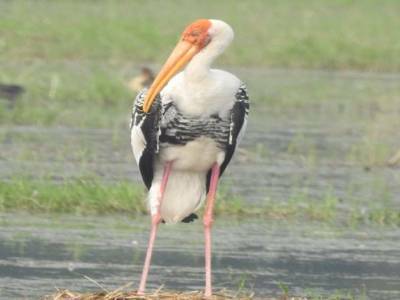 Travelers who visit in winter months will see the Bar Headed Geese, Greylag Goose, Sarus Crane, Painted Stork, Asian Hornbill Stork, Purple Heron, Grey Heron, Great Egret, Eurasian Spoonbill, Little Egret, Pond Heron and many more. There are two metal towers at the edges which offer a good observation points for the entire area. 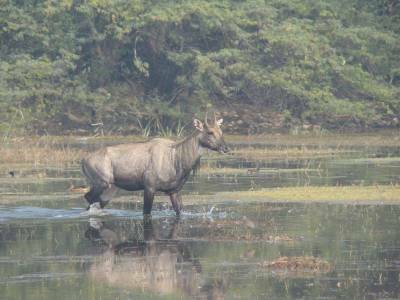 Travelers can also see the many Nilgai or Neelgai or Blue Bull, within the Sultanpur Bird Sanctuary premises. Overall the place offers a nice short weekend trip, especially to bird and nature lovers. Eating food is not allowed in the park but there is a small eating area earmarked near the parking, that is enough to accommodate couple of families and running children. 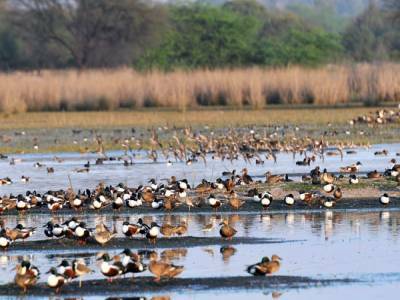 Get quick answers from travelers who visit to Sultanpur Bird Sanctuary.